The Visit Salt Lake Connect Pass is your golden ticket to good times in Salt Lake. By bundling some of the city's best attractions, this all-in-one pass is a great deal on a fun-filled itinerary for you and your family. 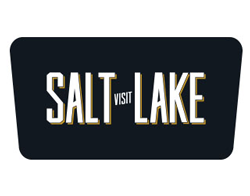 The Connect Pass saves you 50-80% on regular admission to the included Salt Lake attractions. The Connect Pass puts Salt Lake in the palm of your hand. Purchase passes, send passes to friends and family, and track pass use from your mobile phone—your pass is always accessible online, and it's always up to date. You'll see everything from elephants and apes to sweeping mountain scenery to historic Temple Square, and you'll see it all at your own pace. Some attractions will offer Connect Pass holders special discounts for add-on experiences, and you'll also get exclusive coupons for nearby restaurants and services. Pass is available as Adult, Child (3-12), or Senior (65+)	options. Join us in experiencing the captivating world of space & science. Clark Planetarium, formerly know as Hansen Planetarium, is part of Salt Lake County. Discovery Gateway inspires children of all ages and abilities to imagine, discover, and connect with their world to make a difference. With more than 400 interactive experiences, you can choose a new adventure each time you visit the Museum of Natural Curiosity®. Red Butte Garden is one of the largest botanical gardens in the Intermountain West, renowned for its plant collections, themed gardens, 460,000 springtime blooming bulbs, a world-class outdoor concert series, and horticulture-based educational programs. First opened in 1971, Snowbird's Aerial Tram whisks passengers along a 1.6 mile cable and up 2,900 vertical feet during the 10-minute trip to the top of Hidden Peak and The Summit, our newest mountaintop restaurant. Enjoy views of snow-capped slopes and the Salt Lake Valley. Ashton Gardens at Thanksgiving Point are Utah's hidden gem. Enjoy miles of paved walking paths through 55-acres of themed gardens and stunning landscapes. The Museum of Ancient Life is the world's largest display of mounted dinosaurs. Not only will you meet our fierce prehistoric friends, you'll become a part of their world immersed in the chirps, sights, and sounds of the ancient world. We created The Leonardo to honor and embody the spirit of this Renaissance Man. We see the world as he saw it: full of wonders to be uncovered, always asking why? Our museum is a place where you can freely wander and wonder. Come and discover your inner genius, just like Leonardo did. Look around. Ask the big questions. Have fun. Get your hands busy. Welcome. The Lion House Pantry restaurant located in downtown Salt Lake City at historic Temple Square. Take a step back in history and enjoy a great meal. Menu changes daily. This is the Fun Place for Everyone! Ride trains, pan for gold! Meet our farm animals and ride ponies! Interact with the Blacksmith, Tinsmith and Saddle-maker! Card and spin wool, make take-home crafts, do pioneer chores, play old-fashioned games and so much more! Visit the Native American Village and see the Native Dancers (select times). Tracy Aviary inspires curiosity and caring for birds and nature through education and conservation. The Utah Museum of Fine Arts at the University of Utah is the region's destination museum for global visual arts. The Utah Olympic Park hosted Bobsled, Skeleton, Luge, and Nordic Ski Jumping events during the 2002 Winter Olympics. Utah’s Hogle Zoo nurtures respect and appreciation for the natural world by providing diverse educational, recreational, and conservation opportunities. This is accomplished through imaginative exhibits and programs, professional animal care, and a commitment to excellence. The Connect Pass is sold as a 1-day (24 hr), 2-day (48 hour), 3-day (72 hour), or 365-day pass. It's activated the first time you use it and remains active for the number of consecutive days (hours) purchased. The 365-day pass remains active for an entire year. If you don't use/activate any Connect Pass within 90 days of purchase, it will expire. To activate your pass, just take it to the ticket window of any of the participating attractions. Limited to one (1) visitation at each participating attraction while the pass is active. One pass per person. Non-refundable. Non-transferrable. Visit Salt Lake is not responsible for attractions hours and closing dates. Please check all attraction hours and open dates before you purchase your pass. No refunds will be issued for attractions that are closed during your visit.